I have always loved kitchens- the heart of any home. For me, a kitchen is where the really good and messy stuff happens…homework, family dinners, heart to hearts, delicious, unexpected coffee breaks with friends who happen by, pointed political discussions over wine, and most importantly, the creation of food. Freshly baked cookies, roast chickens, fruit pies, yummy pastas and sunset pink grilled steaks anchor my memories. I can still-35 years later-smell my grandmother’s chocolate chip cookies coming out of the oven. For me, cooking is, and always will be, synonymous with pure, unadulterated love. In case you could not tell, I am an unabashed foodie…food, and therefore, by extension, cooking, is my passion. But, as a mom with a crazy life my cooking and eating has had to take a back burner to the realities of carpools and errands. No more can I think about creating Parisian delights in the kitchen…instead, it’s more like wilderness Outward Bound! Yet, there is a way to have it all- and that is what this column is all about. The Dinner Dilemma is about cooking delicious dishes with recipes that are easy to follow, foolproof, and, use readily available ingredients. 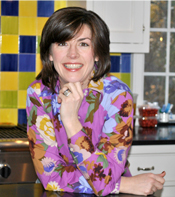 This column is about shaking up the routine and making cooking fun-at least that is my goal! Since the Super Bowl is fast approaching, I thought that it would be great to do a dish that is incredibly versatile- terrific as a main course with a salad, or great as a side. 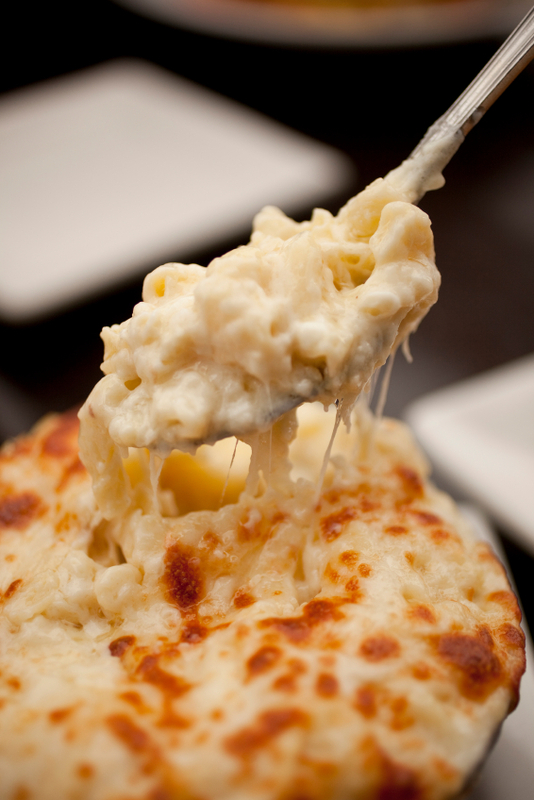 Gourmet Mac and Cheese is just the ticket. It is fabulous on its’ own with a salad, but equally good as a complement to a roast chicken or a beef fillet. Almost all children will eat it- so everyone ends up happy! Now, one note before the recipe- given that this dish is all about the cheese, I recommend splurging a bit on it. The better the cheese, the more you will taste it in the finished product. Your local cheese shop or gourmet market can set you up with wonderful cheeses. That said, I have made this recipe with stuff from the grocery store and Costco, and no one has EVER complained. Drizzle oil in large boiling pot of salted water. Add pasta and cook until al dente (remember that the pasta will bake in the oven, so I purposely under cook it by 1-1.5 minutes). Drain well. Meanwhile, heat the milk in a small saucepan until hot-but don’t boil it. Melt butter in a large pot and add the flour. Cook, stirring constantly with a whisk, over low heat for 2-3 min. Add the hot milk and cook for several more minutes until sauce is thick and smooth. Remove from heat and add nutmeg, pepper and cayenne. Add half the cheddar and gruyere and stir until combined. Add pasta and mix. Place the pasta mixture in a casserole, cover with remaining cheese (I toss the two cheeses together to mix them up a bit) and bacon. Can be made to this point up to a day ahead and refrigerated. This entry was written by Caroline, posted on January 26, 2010 at 9:35 pm, filed under comfort food, cooking, entertaining, good times, kid friendly, pasta, sides. Bookmark the permalink. Follow any comments here with the RSS feed for this post. Post a comment or leave a trackback: Trackback URL. This is one of my favorites! And over the years has become my family’s #1 Mac and Cheese receipt. Everyone loves it.